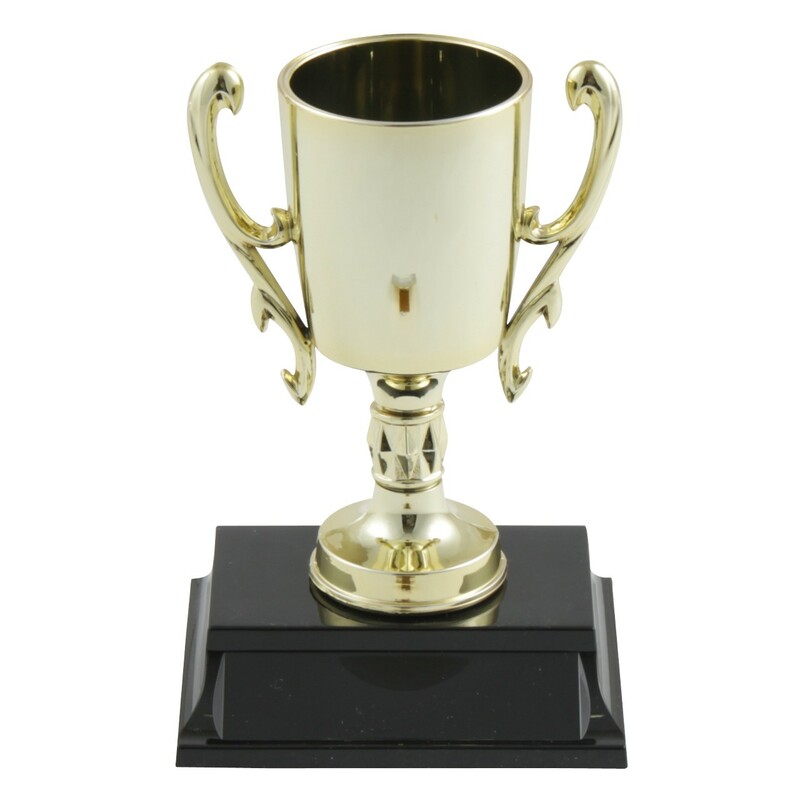 This Gold-Tone Plastic Goblet Award is perfect for recognizing a deserving individual for any occasion! A gold-tone goblet cup shines atop a piano-finish black plastic base. This fun award comes in two size options and includes three lines of engraving etched on a black brass plate for free! A perfect award for any event!